The church of San Francesco d’Assisi is one of the symbols of 19th-century neoclassical art in Sardinia, even if its initial structure was gothic. A small portion of this original façade survives, dating back to the 13th century. 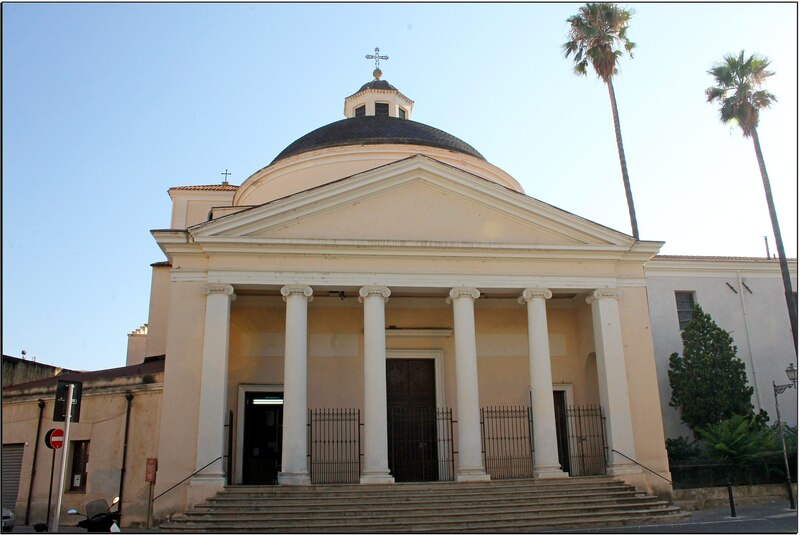 The church of San Francesco d’Assisi is located in the historic centre of Oristano, a short distance from the cathedral of Santa Maria Assunta (Il Duomo), officiated by the Franciscan friars who reside in the annexed monastery that dates back to 1253. The church was initially built in the same period before being demolished at the beginning of the 19th century and reconstructed a few decades later based on a project by the architect Gaetano Cima from Cagliari. The new place of worship was erected according to the canons of purist classicism, opening in 1847. The façade is marked by three portals and preceded by a pronaos which imitates a Greek temple, consisting of two pillars and four columns with ionic capitals that support the tympanum. 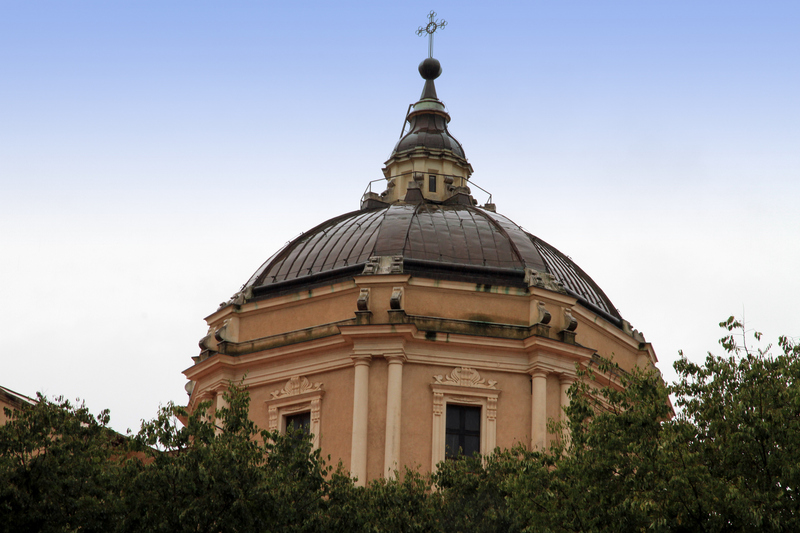 A hemispherical dome crowns the building. The interior has a central layout, interspersed with two chapels on each side, with a deep semi-circular apse. On the altar of the first chapel to the left is a masterpiece in wood to be admired – the polychrome Crucifix by Nicodemus (15th century). The work expresses heart-wrenching agony, typical of German (then Spanish) expressionism and was a prototype of similar works in various churches around the island. The sacristy, in addition to its precious sacred furnishings and the reliquary of Saint Basil, preserves the marble statue of Saint Basil by Nino Pisano (1368) and the panel of Pietro Cavaro depicting Saint Francis receiving the stigmata (1533). This painting is part of the retable of the Holy Christ, the other paintings of which are exhibited at the Antiquarium Arborense, an Oristano museum that also contains the remnants of the ancient city of Tharros, and in the national art gallery of Cagliari. Next to this, in the Convent of San Francesco, other structures can be noticed, which date back to the church’s 13th-century structure, in particular, a part of the vestment in bichrome rows of vulcanite and sandstone blocks, housing a single-pointed window with an arched rib. The portal of the cloister and the large lights arranged in the façade with gothic mouldings date back to the last quarter of the 13th century. The monastery was the site of decisive moments in the history of the Giudicato of Arborea – in the friars’ refectory, the highest Arborea Authorities gathered regularly, including on the occasion of the signing of the Peace Treaty (1388) between Eleonora and the Catalan-Aragonese king John I of Aragon. 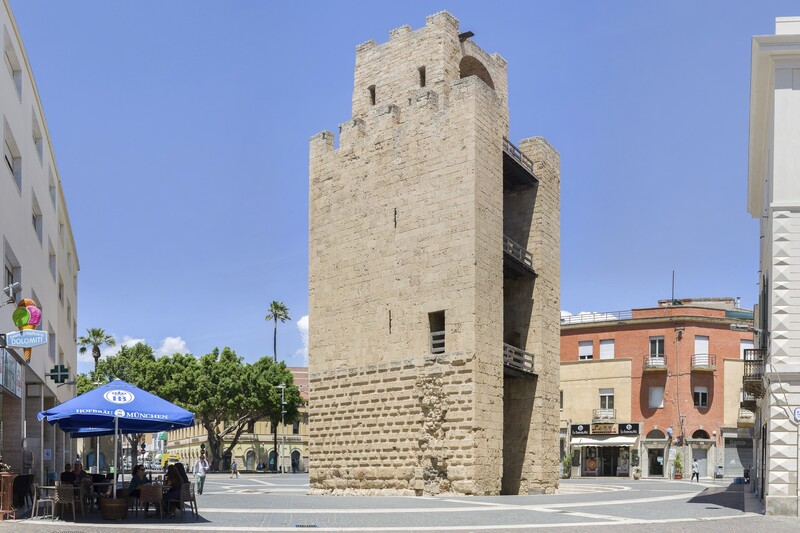 From the complex of San Francesco, buildings and monuments in the historic centre of Oristano can be explored, including the Palazzo Corrias Carta and the majestic Torre di Mariano. Il territorio di Oristano è ricchissimo di documentazione archeologica dall'età preistorica. Formatasi su un centro di origine bizantina, la città fu capitale del giudicato di Oristano e mantenne la sua importanza anche nei secoli successivi. Dalla SS 131 si prende la SP 70. Dopo un paio di km si arriva a Oristano, nel cui centro storico sorge la chiesa di San Francesco, attigua al convento dei Minori conventuali e a breve distanza dalla cattedrale di Santa Maria Assunta.